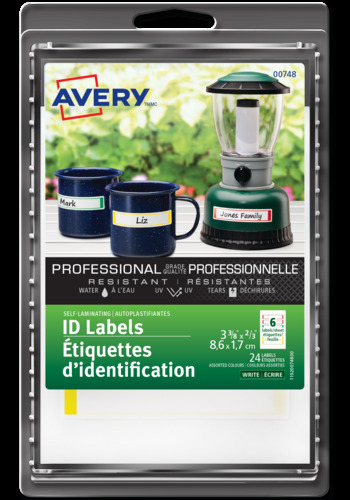 Keep your work environment organized with labels built to stand tough.Organize and identify equipment, containers and shelf space in areas where rougher conditions prevail. Designed to withstand wear and tear, sun and moisture and other harsh conditions making them ideal for warehouses, storage rooms, work-sites, hospitals, and classrooms. Label Size 3⅜" x ⅔"